I got a loan of this from my mate Pedro at Flying Fox Bikes in Alva. The Felt AR5, or ‘felt arse’ as it has affectionately come to be known locally, is an aerodynamic road bike designed to slice through the wind. I’m no product tester, having only ever ridden a carbon bike once before, ‘d hesitate to venture into the subjective area of equipment reviews. But it’d be a shame to have tried a machine such as the AR5 without giving it a mention on the blog, so here goes. 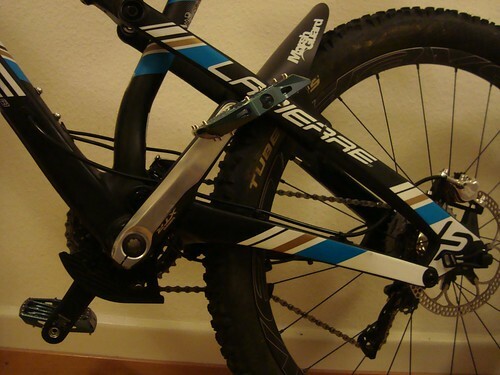 This entry was posted in Cycling kit and tagged bikes on March 9, 2011 by Owen. MTBcut, an online mountain bike TV producer, have created a video exclusive showcasing the new Orange Five. The vid features MBR’s Alan Muldoon talking things over, trials superstar Danny Macaskill hill climbing, and DH ripper Joe Barnes cutting through the rocks. Apart from the fact that the Five is adored by a lot of mountain bikers I know, this vid also piqued my interest because it features one of my local trails, Dumyat, a hill in Stirling. The way Danny Mcaskill gobbles up the big rocky steps is awesome to behold, but it’s good to see he’s human as he loses the back wheel on the dry, gravelly descent. The testers also make short work of Glentress’ swoopy berms, but it was the display of skills on the natural trail that really impressed me in this video. Thanks to Stu Thomson of MTBcut for the video. It’s running a bit slow on this blog- please allow it a few moments to load up- worth the wait- or try going to the 2011 Orange Five sneak peek on the Orange website, or the MTBcut facebook page. This entry was posted in Cycling kit and tagged bikes, Danny MacAskill, mountain biking, Stirling on July 1, 2010 by Owen. 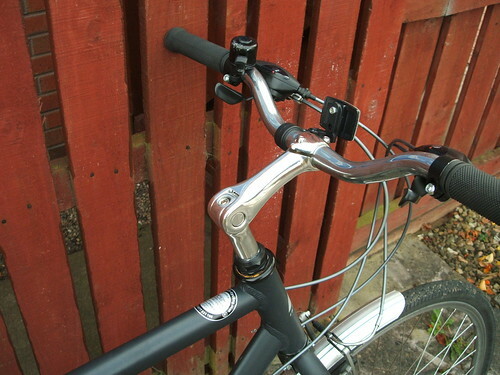 I’d like to change the bars on my hybrid bike to make the position more upright. The reasons are to make it easier to see around me, to have a higher point of view and to make it more comfortable for cruising around at a lowish speed. Velo Orange seem to be the place to go but are the parts ‘too nice’ for what I am wanting. Tried the local bike re-use centre but they didn’t have anything. There’s the Left Bank bar, “a bit wild” at a full 49cm wide. 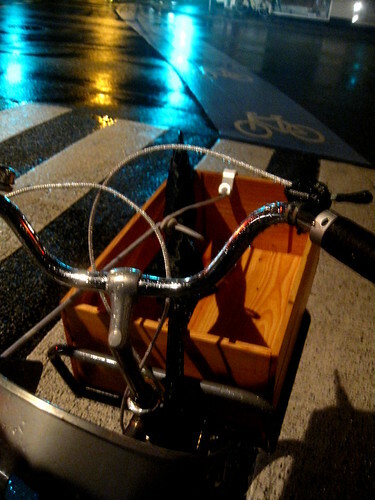 Or the Montmartre bar, a narrow, 42cm center-to-center item. Any thoughts on this? Compatibility is the main issue I’m concerned about. I’m a bit of a need to get calipers to actually measure the bars maybe. 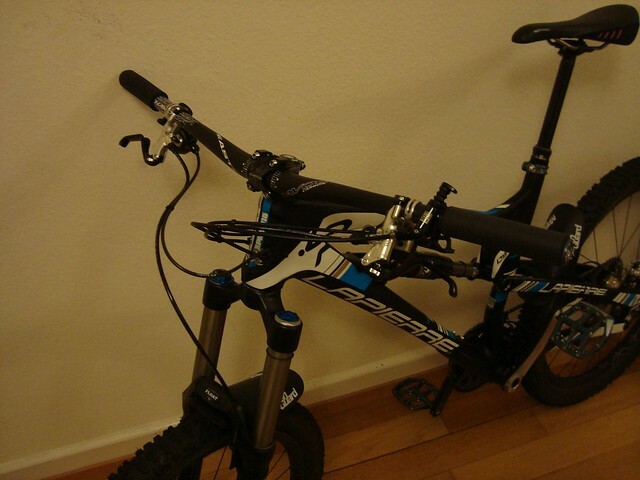 This entry was posted in Cycling kit and tagged bikes on February 4, 2010 by Owen. The Edinburgh Bicycle Co-operative‘s winter catalogue popped through the door last week and I enjoyed thumbing through it, as I have done ever since I was into cycling. Alas, in these tough times there is more to covet than to earmark in the catalogue, despite the best efforts of EBC- the catalogue is supplied with a set of stickers to highlight desirable Christmas items. The one item that stood out to me was the Genesis Croix de Fer- a cyclocross bike with disc brakes. The thing about the Croix de Fer is that it manages to be several different bikes all in one. Everyday commuter, weekend road bike, winter trainer, summer tourer; on and off road – put simply, the Genesis ‘Iron Cross’ ticks more boxes than any other bike I know of. 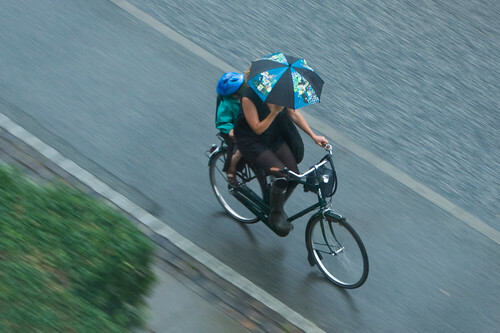 …I’d seriously recommend to anyone who could really do with five bikes but only has room for 1 or 2. At the moment I have four bikes: a summer road/race bike, a winter road/commuting bike, a city/hybrid and a hardtail MTB. Despite the Two Johns’ mantra: you can never have too many bikes in the garage, my shed is full. With a set of mudguards, the Croix de Fer would replace my winter road/commuter my the city/hybrid bikes, and give me the option of racing cyclocross on a fit-for-purpose machine. Which might help my performance. In the tradition of the Velocast, this is my pick of the week. Now, where did I put that spare £999.99 that was lying around? This entry was posted in Cycling kit and tagged bikes, cyclocross on October 26, 2009 by Owen.